The accompanying black and white photo was first published in the Democrat in the 1950’s. It’s of Francie Phaidí Bhrian Gillespie from Meenasillagh, who fished in Port and took the lobsters to the Waters family in Mullaghmore who were the buyers. He lived until he was 90. In the other photograph is his granddaughter Margaret Rose Cunningham, Manager of Glencolmcille Folk Village. Her great-uncle Paddy McGettigan was a Master Weaver from Ardara. They all have more in common than blood lineage; like Francie Phaidi, Margaret too is a spreader of nets, determined that those strangers fortunate enough to stray into the beautiful valley are ‘snared’ in a fashion, but unlike Grandad, released after their memorable journey. As a weaver, blanket creator and tapestry artist, Margaret has ensured that the two crucial local industries, fishing and weaving, are not only acknowledged, but remembered and commemorated in equal measure in the unique ‘clachans’ overlooking Glen Bay. Her mother Rita was, and is, a ‘great knitter’, capable of the most intricate stitching and an ability to create huge blankets, a skill passed on to her daughter. Margaret has two sisters and two brothers, and credits Father James McDyer with instilling the virtues of self belief and determination in her. “He was ahead of his time” she says, “although a priest, he was not hierarchical, and he acknowledged the ability of women to believe in themselves. “He christened me, and not only did I sing in his choir, but his Irish nights opened the door into a lifelong love of music. “He even let us play the church organ in Carrick!” Although she loves the fiddle, her first instrument was the guitar, but singing remains her chief passion. She sang in a traditional band called Na Dorsa for a couple of years and travelled Europe and America, doing city halls and festivals and also presented a programme on TG4 a number of years ago called Seoidíní Stare, similar to the Antiques Road Show. Now, on the last Friday night every month in Evelyn’s Central Bar, the Slieve League Singing Circle hold their sessions. Her other passion is photography and she won awards for two beautiful photos of Malinmore and Glengesh at The Glencolmcille Agricultural show 2018. Although she studied science at the then Regional College in Letterkenny, she was one of six chosen for the Taipéis Gael programme in 1993-1995, when local artist-weavers from Glencolmcille were trained in the skills of preparing and dyeing wool using local materials, carding and spinning, designing tapestry and weaving on a specially fabricated wooden frame. While attending the Inishowen Traditional Singers' Circle In Ballyliffin in 2001, she met her future husband, Scottish singer, Derek Williamson. He is originally from Glasgow and has a uniquely rich voice and an in-depth understanding of both Scottish and Irish Traditional singing styles. He was well known in Scotland for his singing and played with the band Calasaig before moving to Donegal in 2001 to study music. They have a daughter, eleven year-old Laura. Ballyliffin, indeed Inishowen in general, still hold a special place in her heart. She became Manager in 2004, and remembers her predecessor, Christine Daly from Monaghan, famous for her scones and ‘brachan bui’. 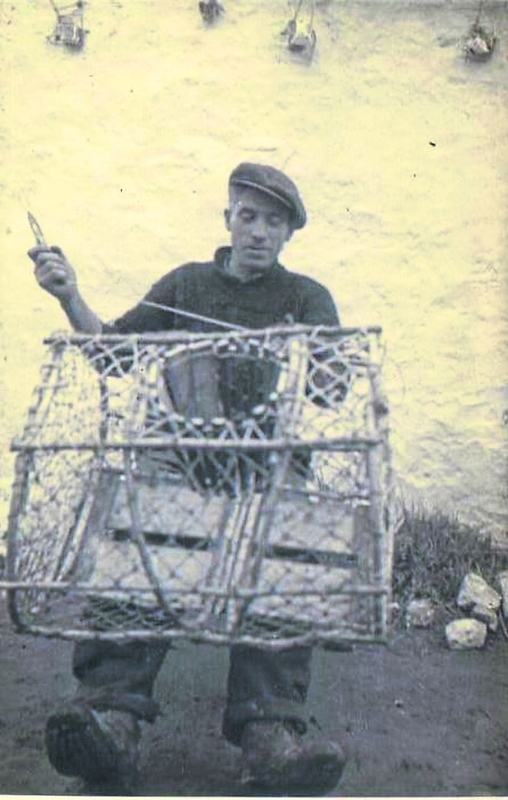 Two of the original buildings were derelict, used for storage, and Margaret was determined that her beloved fishing industry received equal honour in the village. She was overwhelmed by the assistance from local fishermen and net makers, who contributed many artifacts, and so the Fisherman’s Cottage was born. We meet on a beautiful crisp January morning in the Schoolhouse, the turf fire burning brightly, while Margaret is at pains to stress the James McDyer mantra of community solidarity and self-belief. Her great-uncle, Pat Gillespie was an errand boy for famed American artist and Port resident, Rockwell Kent. Kent said: "I've travelled north and south east and west in search of mountain peaks but never until now have I found peaks whose summits reached so near to God as do you men of Donegal."